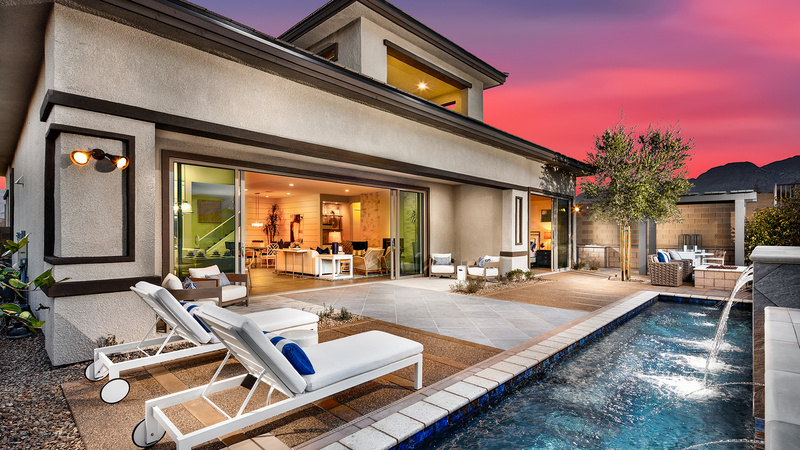 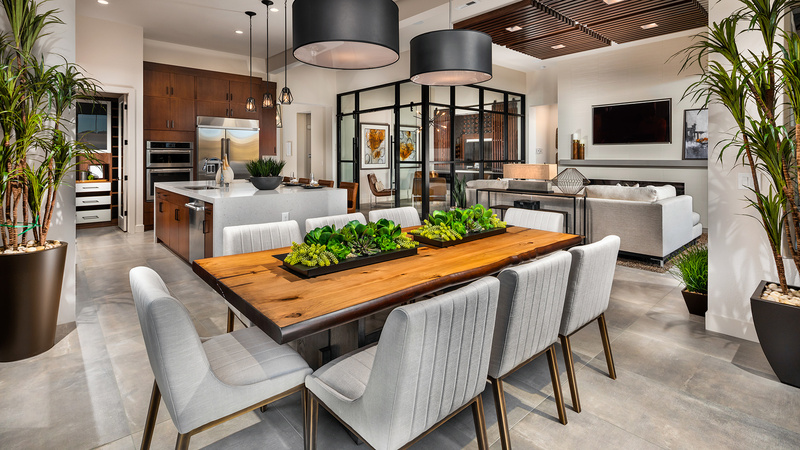 Contemporary family living and entertaining. 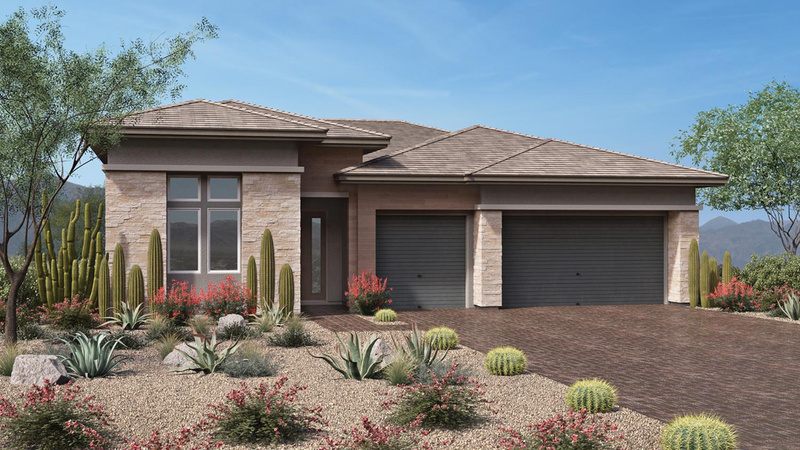 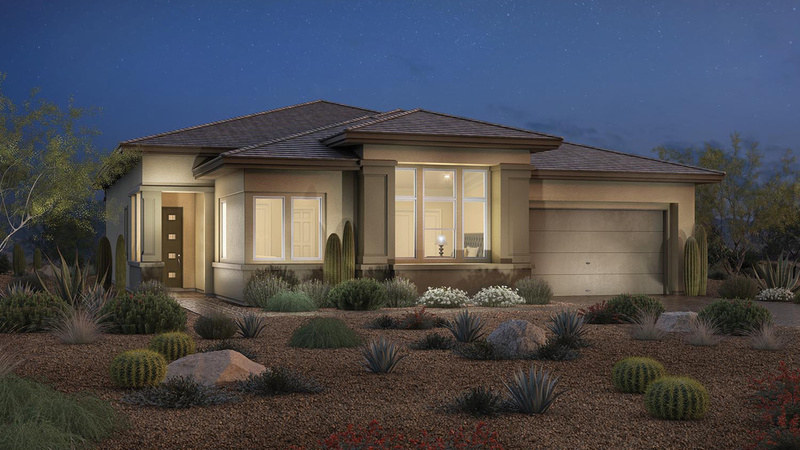 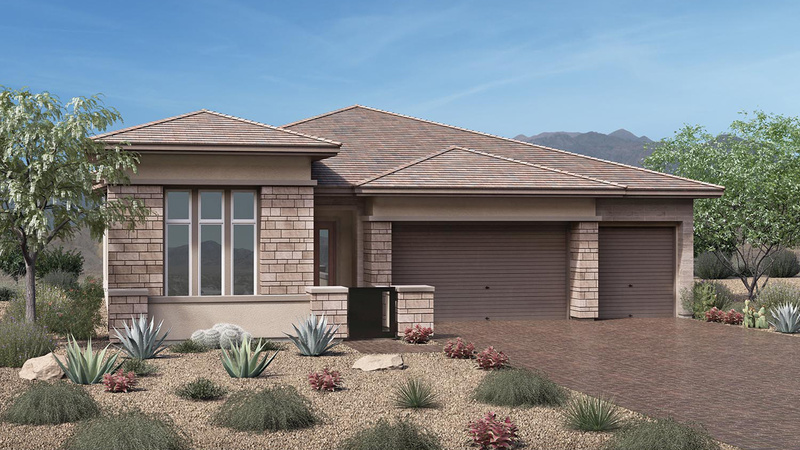 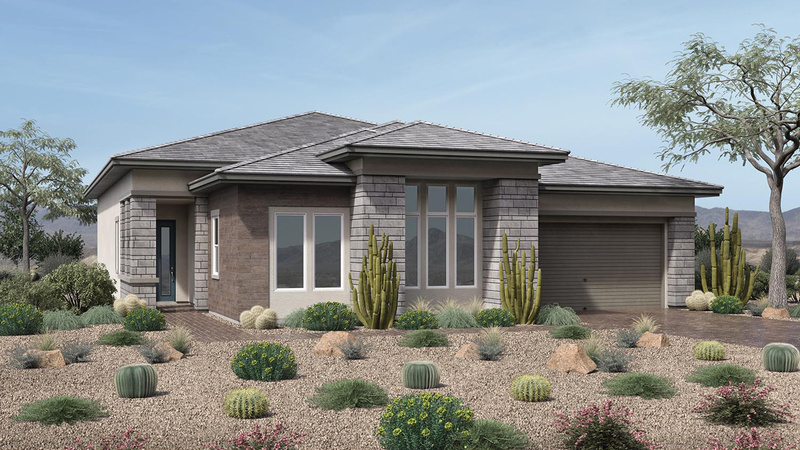 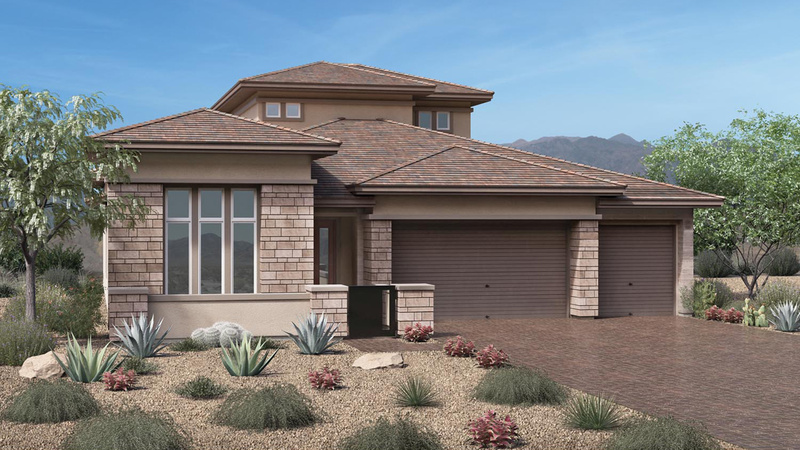 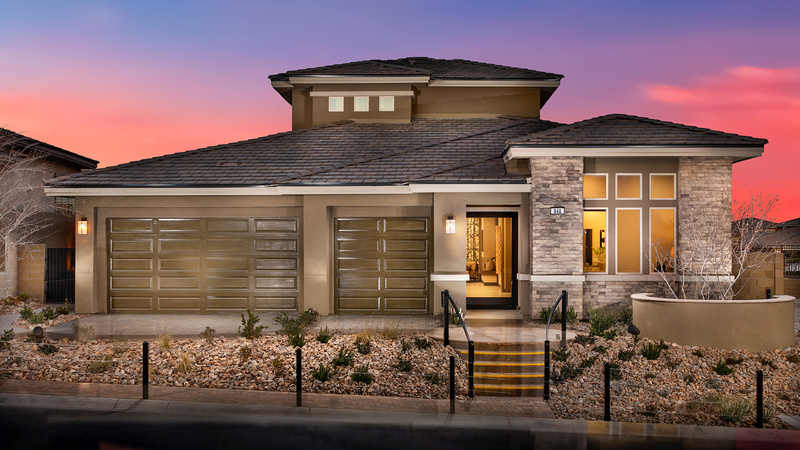 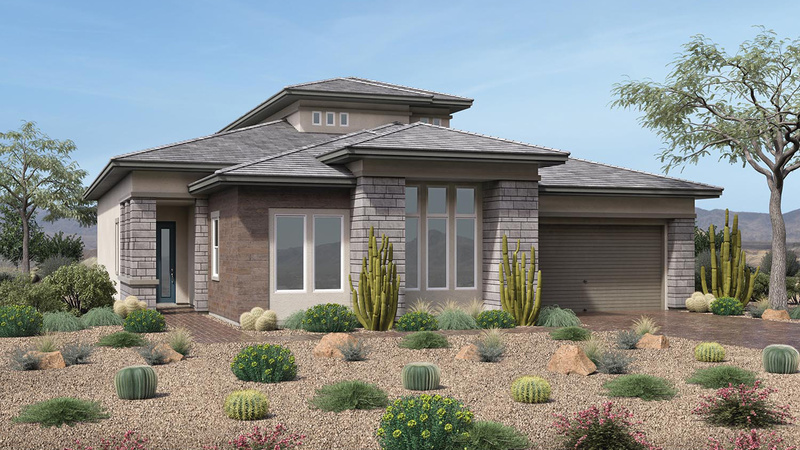 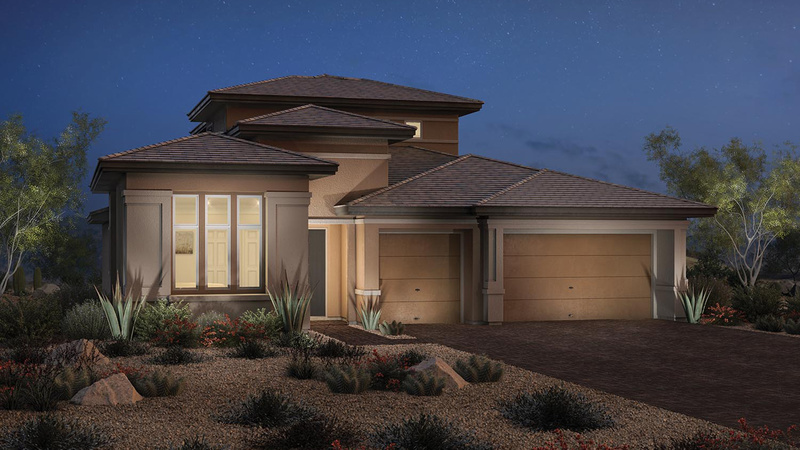 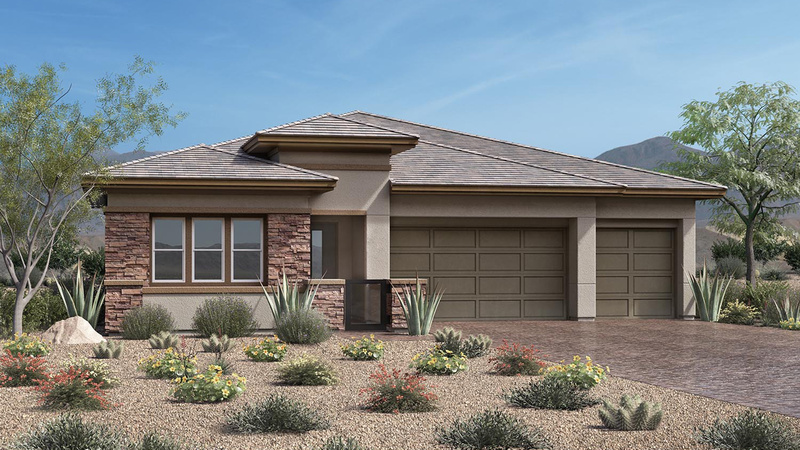 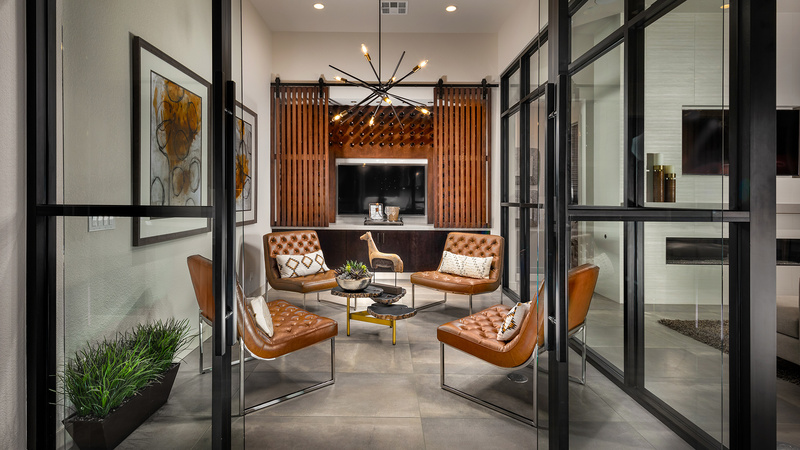 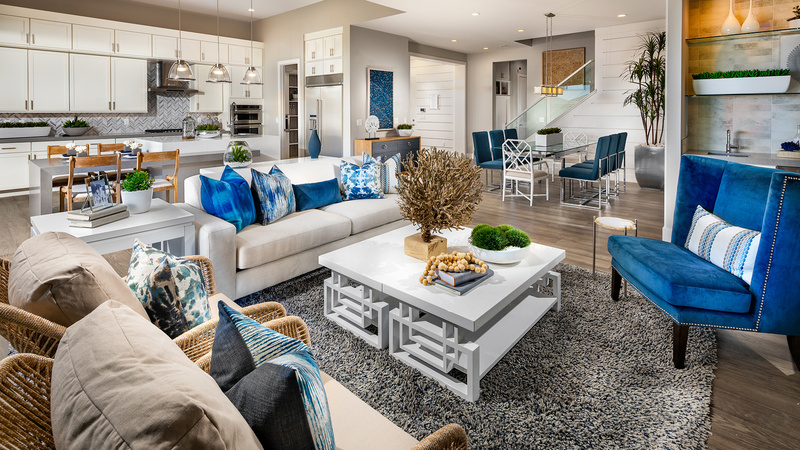 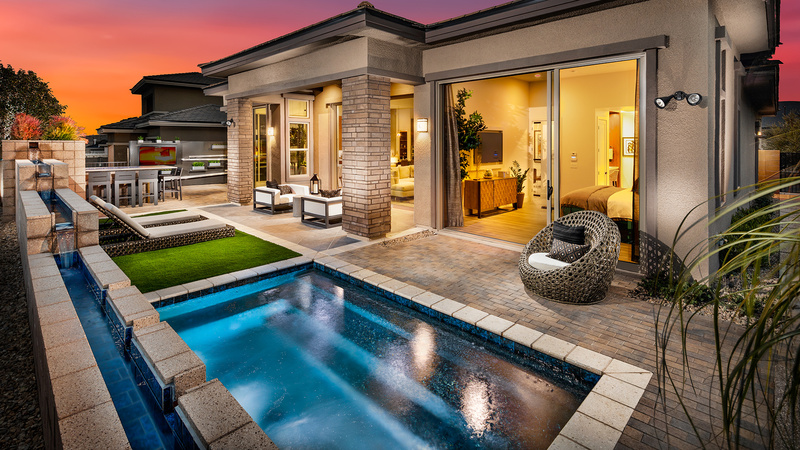 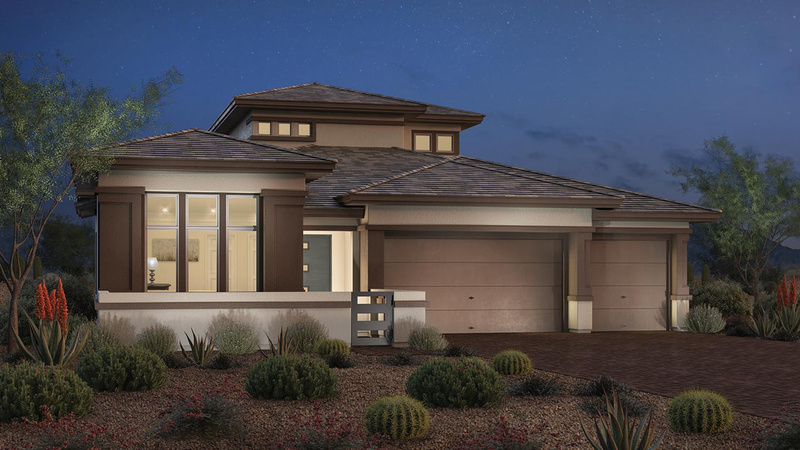 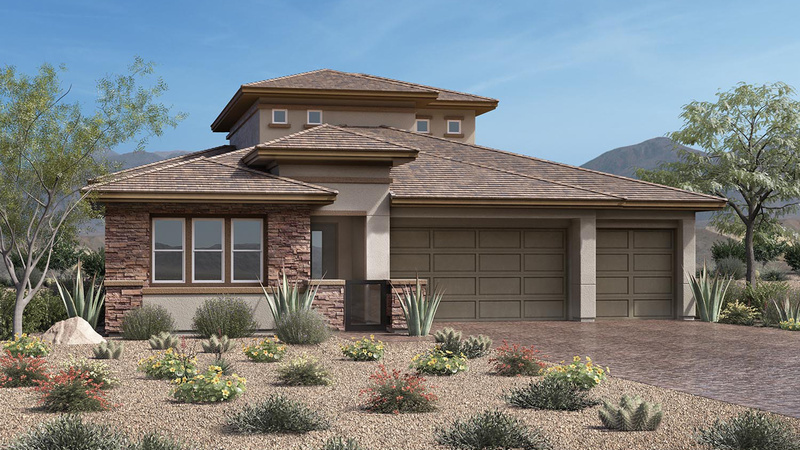 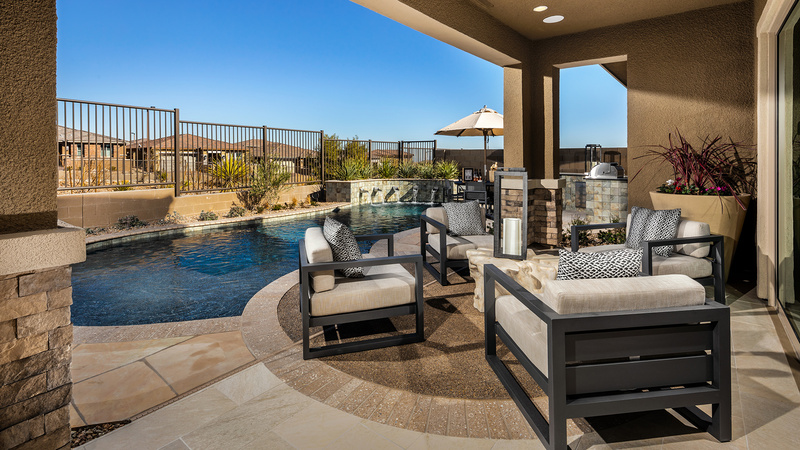 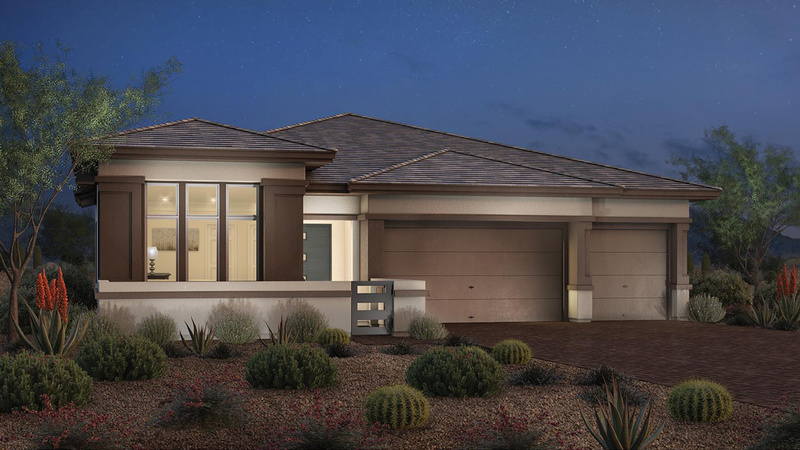 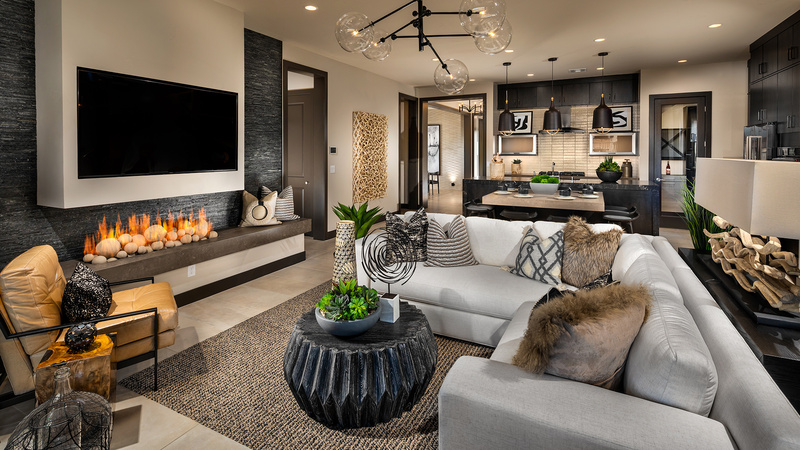 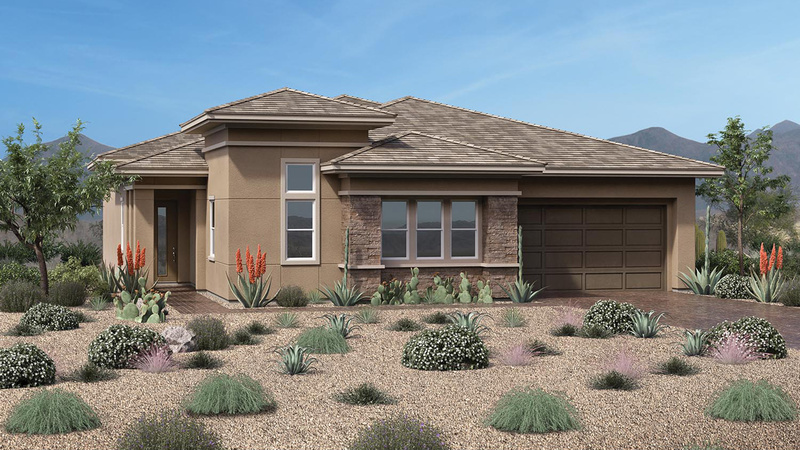 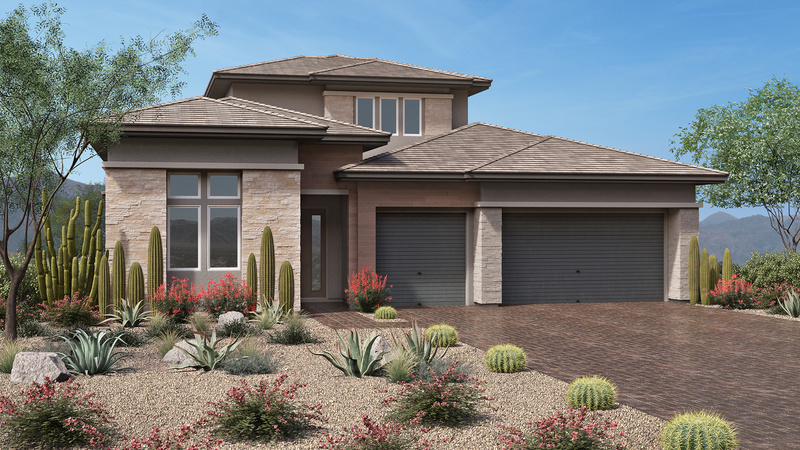 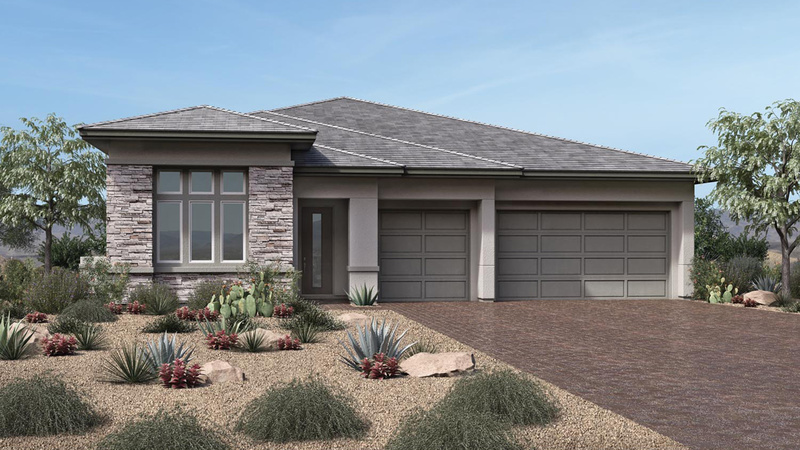 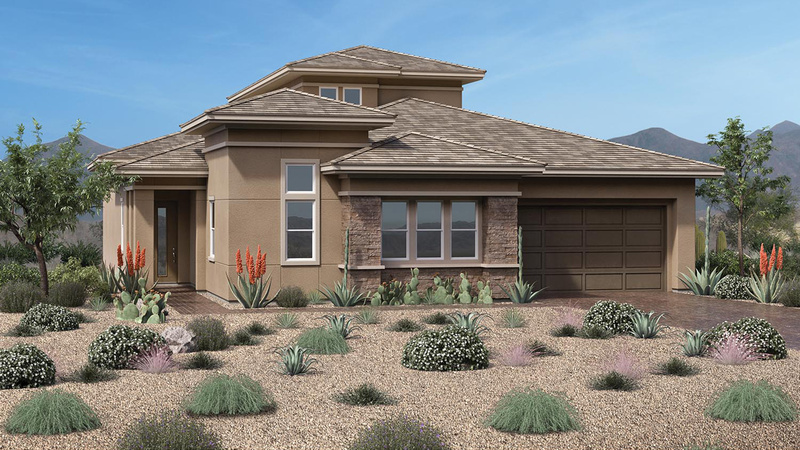 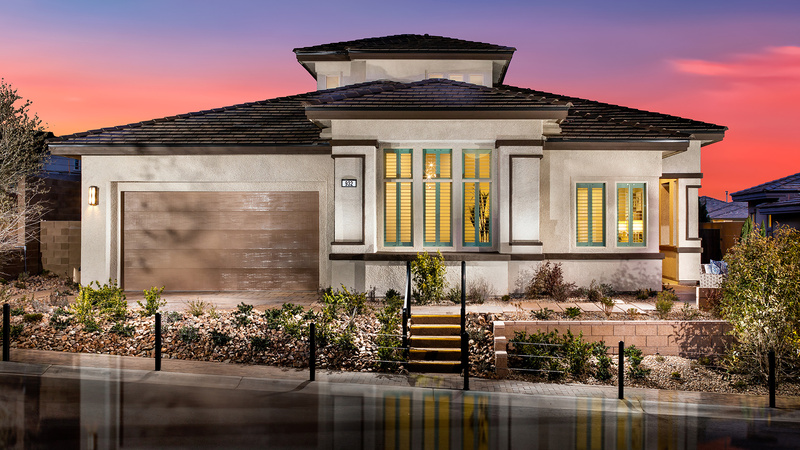 The Solstice's inviting covered entry and welcoming foyer draw the eye toward the beautiful formal dining room with tray ceiling and patio access, then to the bright great room and luxury covered patio beyond. 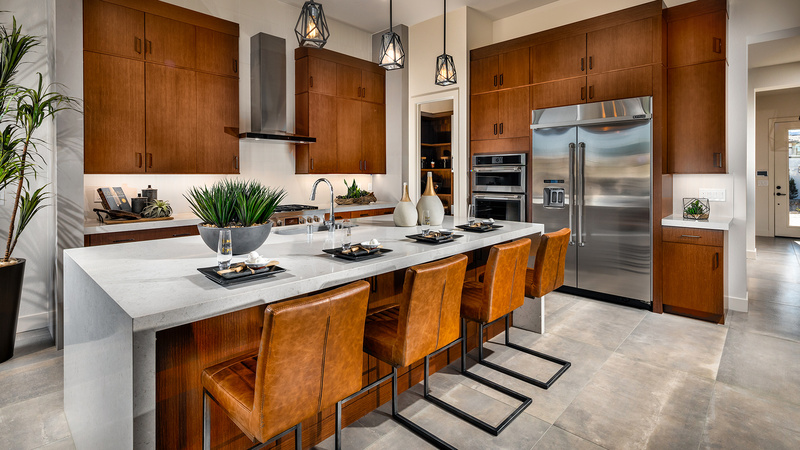 The well-designed kitchen features a generous center island with breakfast bar, ample counter and cabinet space, and huge walk-in pantry. 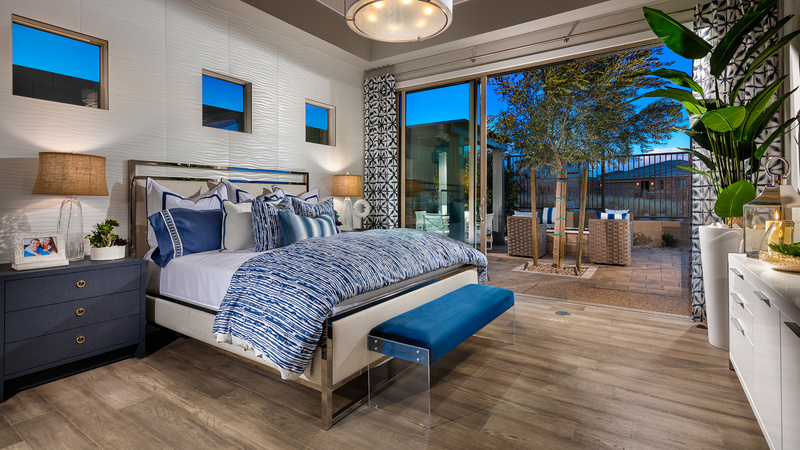 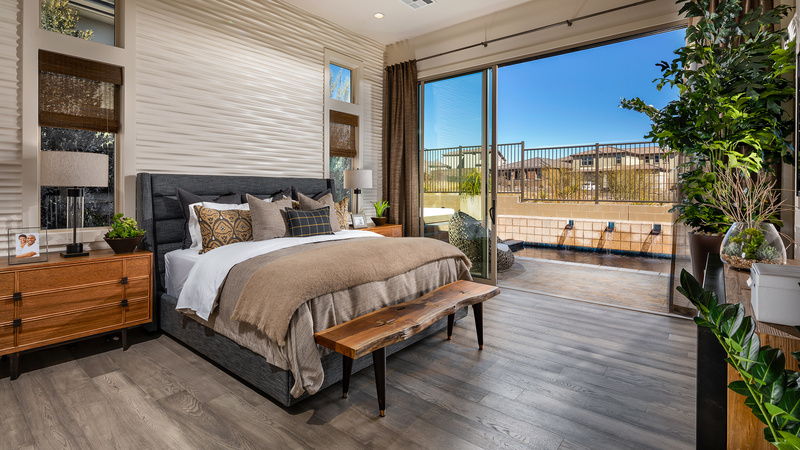 The secluded master bedroom is complete with elevated ceilings, a large walk-in closet, and spa-like master bath with dual vanities, luxe glass-enclosed shower with seat and drying area, linen storage, and private water closet. 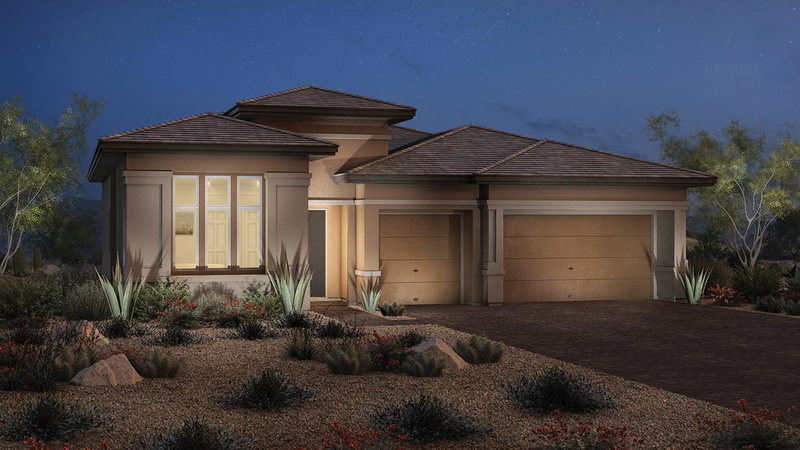 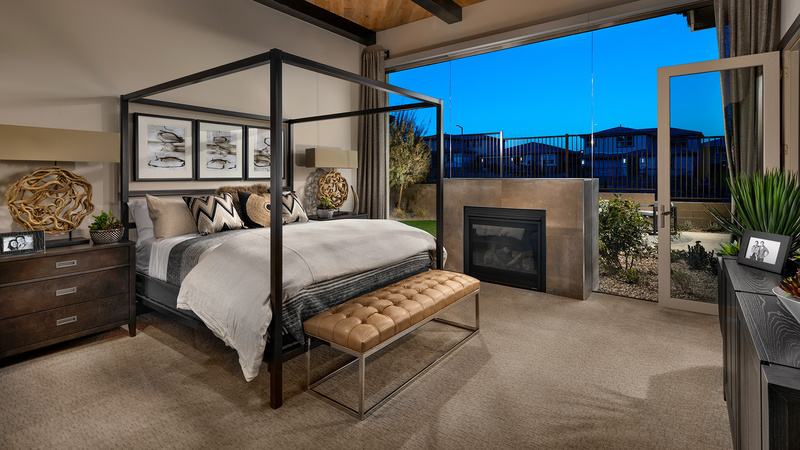 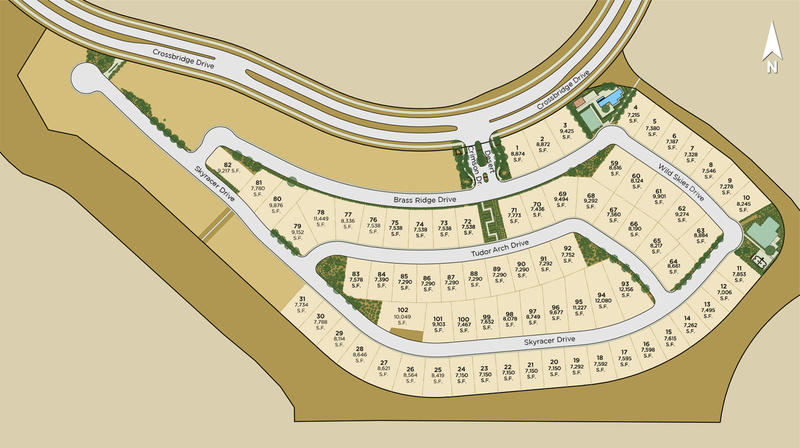 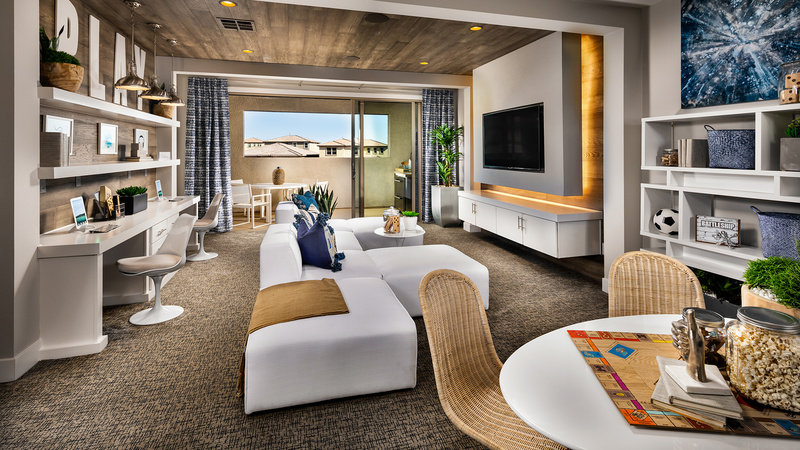 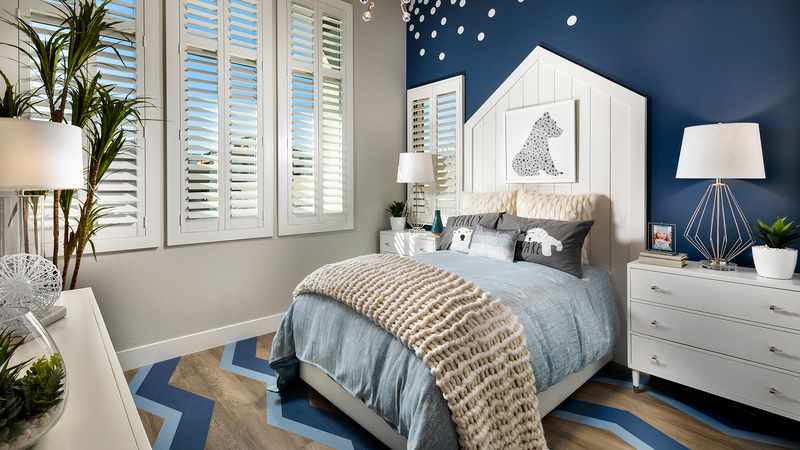 Secondary bedrooms each feature roomy closets and private full baths. 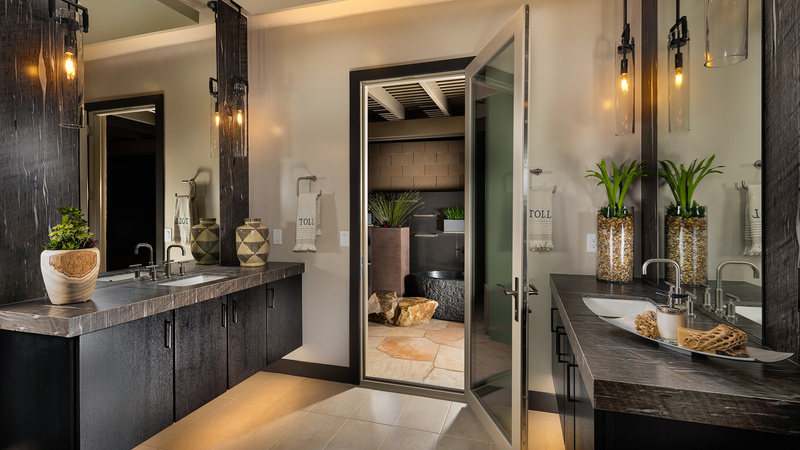 Additional highlights include a convenient powder room, centrally located laundry, and additional storage throughout.